Kaleb Keyserling at Oregon Health and Science University, Portland and associates have reported a case of Spur-Cell Anemia which has appeared in NEJM. Spur cells, or acanthocytes, are large erythrocytes covered with spikelike projections that vary in width, length, and distribution.They can be encountered in acquired or inherited disorders. Historically, spur cell anaemia has been described with advanced alcoholic liver cirrhosis, but it can also be observed in other severe liver diseases. The inherited disorders in which significant acanthocytosis is present include certain neuromuscular disorders. Anorexia nervosa, hypothyroidism, and myelodysplasia are rare causes of this disorder. 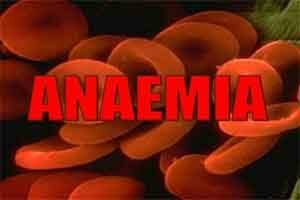 Five per cent of all patients with severe hepatocellular disease develop spur cell anemia. Abetalipoproteinemia is an uncommon disorder. Chorea-acanthocytosis syndrome and McLeod phenotypes are rare; only a few dozen cases have been published in the literature. A 31-year-old man with a history of cirrhosis, recurrent hepatic encephalopathy, and anemia presented to the emergency department with confusion. He was found to be encephalopathic, and his hemoglobin level was 6.7 g per deciliter (previous measurement, 9.0 g per deciliter). Additional laboratory tests revealed an elevated indirect bilirubin level of 11.4 mg per deciliter (194 μmol per liter), an elevated lactate dehydrogenase level, and an undetectable haptoglobin level. An evaluation for infection was unrevealing, and no evidence of bleeding was found. A peripheral blood smear showed numerous acanthocytes (or spur cells), a finding consistent with spur-cell anemia, a form of hemolytic anemia that can occur in patients with decompensated cirrhosis. Spur cells acquire spiny projections on their surfaces as a result of altered lipid metabolism and an excess of cholesterol in patients with cirrhosis; these changes make the erythrocytes inflexible and prone to hemolysis. Acanthocytes are often confused with echinocytes (or burr cells), which have more regularly spaced spicules. Spur-cell anemia is associated with a poor prognosis and is definitively treated by liver transplantation; however, this patient was not considered to be a candidate for liver transplantation because of his ongoing use of alcohol. He remained encephalopathic, and his anemia did not resolve despite blood transfusions. The patient was ultimately discharged home, where he received hospice care; he died 2 weeks later.